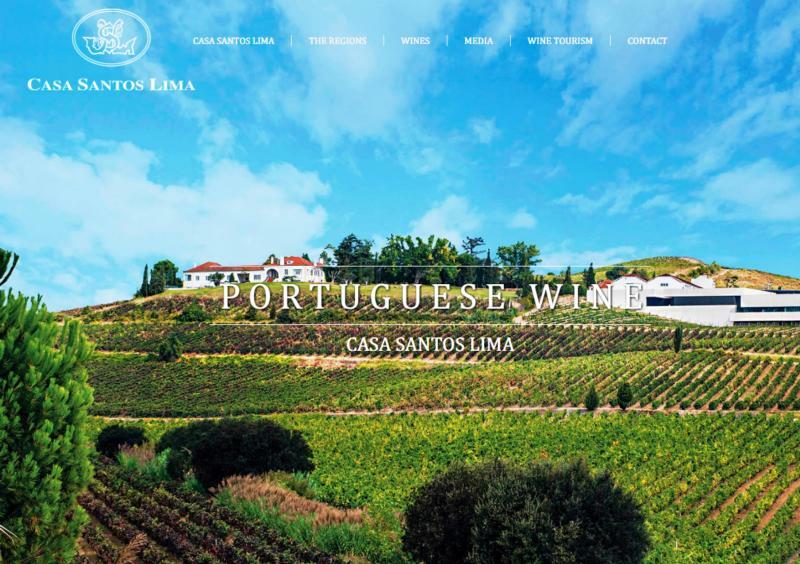 Casa Santos Lima is a family owned company dedicated to the production, bottling and selling of Portuguese wines. The company is present directly or indirectly in the regions of Lisboa, Algarve and Alentejo, Vinho Verde and Douro. This way and from around 400 hectares of vineyards, it produces wines known for their excellent quality/price ratio and exports around 90% of its total production to close to 50 countries in all 5 continents. Casa Santos Lima is also the largest producer of "Vinho Regional Lisboa" and "DOC Alenquer" and in the past years has been one of the most awarded Portuguese wineries in major national and international wine competitions. Casa Santos Lima was created to ensure the continuous development of Santos Lima's wine producing activity first established several generations ago. This activity was first started by Joaquim Santos Lima, who, by the turn of 19th century, was already a great producer and exporter of Portuguese wines. Maria João Santos Lima and José Luís Santos Lima Oliveira da Silva, granddaughter and great grandson of the founder, relaunched Casa Santos Lima in 1990, replanting most of the vines, improving agricultural techniques and modernizing all its productive structure. Since 1996, Casa Santos Lima, started bottling its own brands – Quinta da Espiga, Quinta das Setencostas, Palha–Canas and some varietal wines – which immediately achieved great success both in national and international markets. Nowadays, around 90% of its production is exported to almost 50 countries in the 5 continents. This great export vocation relies mainly in the excellent price – quality ratio which is part of the company corporate vision and attitude. This has been consistently confirmed by numerous awards granted and frequent press references by the specialized press with several "Best Buy". In recent years, the company has developed an expansion plan to other regions such as the Douro, Vinhos Verdes, Alentejo and the Algarve with acquisitions of new properties and societies or partnerships with local producers. Casa Santos Lima now has an even wider, richer and diversified wine portfolio ready to meet the market's demand. Most of Casa Santos Lima's vineyards are located in Alenquer, 45km north of Lisbon, in a region where wine production is centuries old and typical rural landscapes appears with enormous beauty. The vineyards are planted in gentle slopes with altitudes between 100 and 220 meters benefiting from an excellent sun exposition and a climate slightly tempered by the nearby Atlantic Ocean, 25 km away from the property. This is one of the richest wine regions due to the diversity of grape varieties, type of soils and climate. Also in this region, another wine producing company, the "Sociedade Agrícola Quinta do Conde S.A" (www.saquintadoconde.com) is under the company's management. A full-bodied wine with good tannins from Lisboa. As indicated in the name, it is very sweet on the palate. Pairs well with beef, pasta, veal, and poultry.